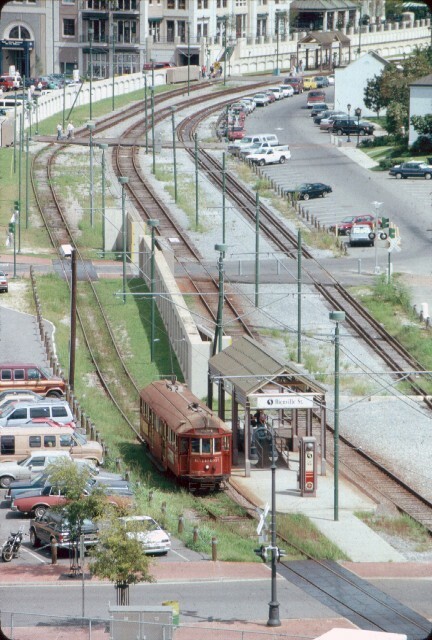 The upper view of ex-Melbourne W-2 car 454 shows it running downbound (downriver) approaching the Toulouse Street stop. 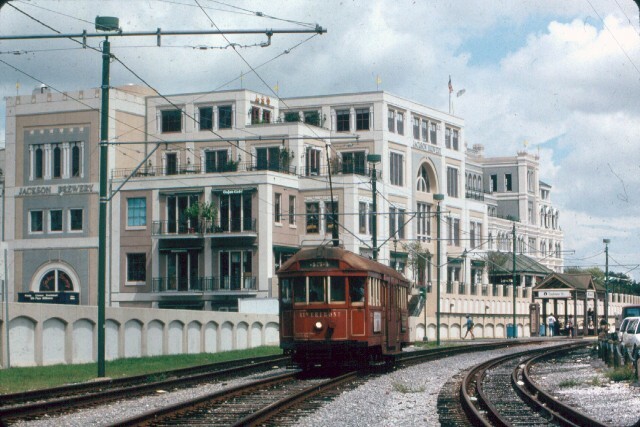 The lower picture, possibly taken from a window of the Westin Canal Place Hotel, shows the same car upbound approaching the Bienville Street stop, with the Toulouse Street stop in the background. In both pictures, the freight track is at the far right, and the old Jax Brewery is in the background. The pictures are both dated November 17, 1992.